This harvest season, if you find yourself sipping wine or enjoying dishes made with chestnuts, you might toast Robert Dunstan, a wiry little man whose brilliant backyard tinkering revived chestnut trees in the United States and helped to save thousands of acres of French wine grapes. Dunstan was a professor of Romance languages at Greensboro College from the late 1920s to the early 1960s. When he wasn’t teaching or grading papers, Professor Dunstan, who lived on two acres near present-day Interstate 40 and Four Seasons Town Centre mall, played in his yard. An amateur plant breeder, his passion was creating hybrids. He dabbled mostly in trees and grapes. He made his first mark with grapes. In the late 1930s, Dunstan plant-sat for a friend, a Duke University professor who left his roses in Dunstan’s care while he was on sabbatical in France. As a gift for tending the roses, the friend brought Dunstan some French grape plants. Dunstan tucked the plants into Piedmont soil. The grapes struggled and withered. “Grandpa became interested in why the grapes died,” says his grandson, Robert Wallace of Alachua, Florida. Dunstan had grown up in Windsor, North Carolina, on the lip of Albemarle Sound, where native muscadine grapes flourished. Dunstan, too, had come from hardy stock. His father, H.V. Dunstan, a Civil War surgeon, walked 500 miles from a Confederate hospital in Georgia to his home in Windsor, when the war ended. Family lore holds that U.S. General William Sherman, whose campaigns ravaged the South, had spared H.V. Dunstan’s home while he was away because of the Masonic symbol over the fireplace; Sherman was a Freemason, too. When H.V.’s wife died after the war, he remarried and fathered a second round of children. Born in 1901, Robert Dunstan was among them. “Grandpa was the runt pig of the last litter,” says Wallace. Dunstan almost died of whooping cough in infancy. Small but sparky, Dunstan spent his childhood navigating the swamps and sounds around his home in a dugout cypress canoe. He trapped and hunted. He sold thousands of pelts to pay his way through Trinity College (now Duke University), where he discovered a knack for language. Dunstan earned a doctorate in Romance languages at the University of Wisconsin, where he met and married his wife. 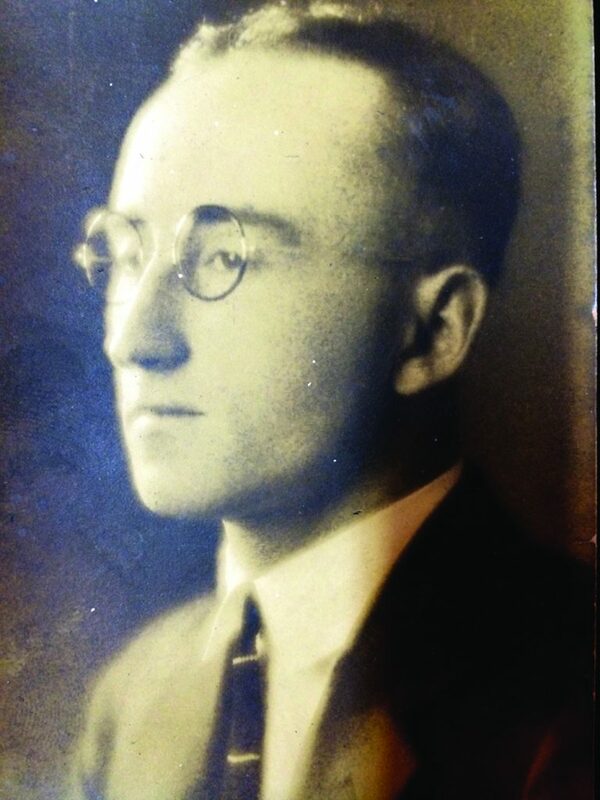 “In 1927, at age 26, he became the youngest department head, the baldest and the most popular teacher at Greensboro College, a liberal arts Methodist girls’ college, where he stayed, still the baldest and most popular teacher for thity-six years. At home, for fun, he spoke French with his wife Katherine, an artist, and two little girls,” according to a family history written by Dustan’s daughter Aurelia Wallace, who died in 2011. Former Greensboro College students remember Dunstan as a spritely, mustachioed man who dressed the part of a college professor. “He always wore a bow tie and a beret. He was a short little fellow. He just scooted along campus. We all thought he was kind of cute,” says 80-year-old alumna Gene Jones, from the class of 1958. “He didn’t let any grass grow under his feet,” she says. At home, though, Dunstan was all about cultivating green. In 1929, he bought a house and two acres on Pinecroft Road, off of what was then High Point Road. During the Great Depression, when his professor’s salary was cut in half, he grew a bountiful garden. His family feasted on tomatoes, greens, potatoes, peaches, apples and a novelty in the Piedmont, white cherries. “Nobody in this neck of Carolina had even seen such things!” his daughter Aurelia wrote in the family history. In the late summers, neighbors gathered around Dunstan’s arbors, heavy with muscadine grapes. When Dunstan’s professor friend from Duke went on sabbatical, Dunstan had the perfect place for his former teacher’s roses. Dunstan went to Durham, dug up the plants, and transplanted them to his yard, where he tended them for a year. His friend returned with a present: thirty French grape plants, which were rare in this country. To Dunstan’s disappointment, the French grapes began to die of Pierce’s Disease, a bacterial infection. The hardy native muscadines in his garden were not affected. The professor-horticulturalist tried to cross the French grapes with the muscadines to get a resistant variety. Dunstan’s first attempts at hybridizing failed because the two grape species had different numbers of chromosomes. So he used a mutagenic chemical called colchicine to double the number of chromosomes in each species. This enabled successful crossbreeding with fertile seed. On a trip to a national grape conference at Cornell University, Dunstan met U.S. Department of Agriculture cytologist Dr. Haig Dermen. They hit it off because as a linguist Dunstan knew how to pronounce his name — DARE-men instead of DER-min, as most people said, rhyming his name with vermin. Dunstan sent his new friend the European-American mixes, and Dermen confirmed the hybridization. Dunstan published his findings in the Journal of Heredity and in its French equivalent. French grape growers guzzled the news. Dunstan’s hybrid was also resistant to a root fungus that was crippling French vineyards. The French grafted their wine grapes onto rootstock of Dunstan’s hybrids. “It saved thousands of acres,” says Dunstan’s grandson, Wallace. Back home, vineyard owners in the Southeast started using Dunstan’s hybridization techniques to make their wine and table grapes resistant to fungus. Dunstan’s friends took to calling him “grape-nut,” probably a play on the Grape- Nuts breakfast cereal, which goes back to 1897. But Dunstan didn’t confine his curiosity to vines. For years, he’d been tinkering with trees, crossing pecan trees with native hickory trees to produce “he-can” trees. At times, his matchmaking resulted in a sideshow. “On one tree, with a hammock slung under it, he grafted thirty-seven varieties of nuts, a neighborhood’s “seventh wonder of the world,” according to his daughter. In the 1940s, one of Dunstan’s nut-growing friends was on a pheasant-hunting trip in Ohio when he stumbled across a lone healthy chestnut tree in a grove of dead trees. Since slipping into a New York harbor in 1904, the chestnut blight, a fungus transmitted by airborne spores, had ravaged chestnuts in the Eastern United States, erasing the sprawling hardwood trees as a source of shade, lumber and food for both people and wildlife. Unlike most nuts, chestnuts are high in carbohydrates. “Nutritionally, they’re like brown rice that grows on trees,” says Dunstan’s grandson, Wallace. 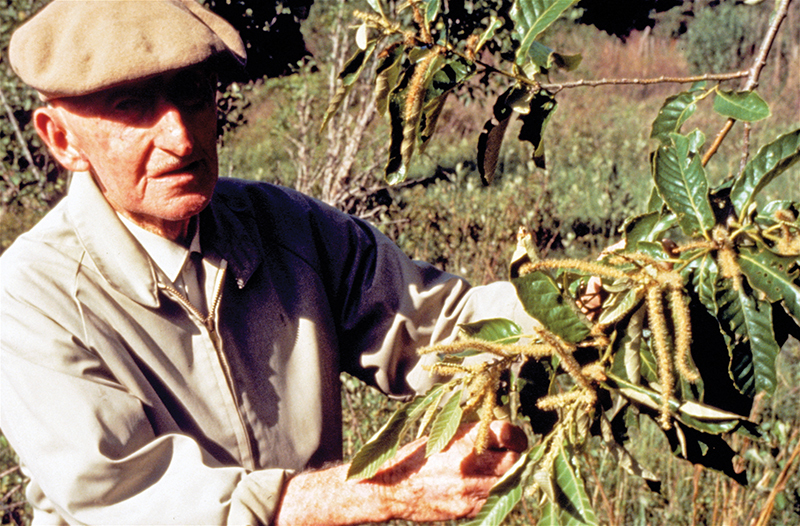 By 1940, the chestnut blight had killed nearly every native tree in the United States, one of the biggest botanical catastrophes in the country’s history. The surviving tree that Dunstan’s friend found in Ohio probably contained a natural a genetic mutation that enabled it to survive. The friend tried to infect the tree by inoculating it with blight, but the tree shrugged it off. Then he shipped some of the magical budwood to Dunstan, who got to work. He grafted the cuttings to Chinese chestnut rootstock. 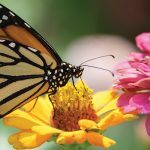 He groomed those to flowering, harvested the seed, grew those seeds to maturity and then, once again playing pollinator, back-crossed those trees to the Chinese-American parents. The result, which Dunstan created in Greensboro, was the blight-proof Dunstan Chestnut. In 1963, Dunstan retired and moved with his wife to Florida to be near their daughter Aurelia and her husband, Alvin Wallace, who’d received the first doctorate in statistical plant genetics from N.C. State. He later became the head of agricultural research at the University of Florida at Gainesville. When Dunstan left Greensboro, he took some of his hybrid grape vines, along with the second generation of his hybrid chestnut seedlings. He planted again in Florida. He left behind the trees and vineyards that he’d tended near High Point Road. Dunstan sold the land to Joe Koury, who developed Four Seasons Town Centre and the nearby Sheraton hotel. Wallace said his father-in-law squeezed a little more money out of Koury by selling his house separately, a fact that delighted Dunstan. A city directory from 1963 lists Dunstan’s address as 2129 Pinecroft Road. Aerial maps show the address is now covered by parking lots and buildings around Four Seasons Town Centre. Robert Wallace said his grandfather’s home was on a hillside. He believes the site is occupied by a hotel. He doubts that any of Dunstan’s trees and vines survive. When Wallace graduated from college, his grandfather took him aside and shared a business idea: Sell the hardy chestnut trees. “My grandfather was very influential in my thinking at that time. I had coffee with him every morning until he died in 1987. He was a really engaging conversationalist. He had a great sense of humor,” says Wallace, who in the 1980s patented the Dunstan Chestnut, the only chestnut to receive a U.S. plant patent. Wallace now lives in his grandfather’s old house and runs Chestnut Hill Nursery & Farms, a 300-acre fruit, nut and flowering tree business in the north central part of Florida, near Gainesville. “Eighty to ninety percent of chestnut trees in North America right now have come from our trees. No one has ever had one to die of blight — unless you count tractor blight,” says Wallace, who inherited his grandfather’s wit. Wallace sells most of his chestnut trees to hunters, who plant them to attract deer. There are very few commercial chestnut farms in United States, but one of them is in Rockingham County, just north of Guilford County. Richard Teague owns High Rock Farm, which is home to 500 Dunstan Chestnut trees. Teague planted his first Dunstan trees in 1991, a year after buying the farm, which included a home built by U.S. Senator John McCain’s fourth great-grandfather, Joseph McCain, in 1807. The agricultural extension agent in Rockingham County recommended chestnuts trees as a way for Teague to diversify a nut crop. Teague was shopping for trees from Wallace’s tree farm in Florida when he learned of Dunstan’s connection to the area. Dunstan kept his two passions separate. He rarely talked about plant breeding with his education colleagues. But in a 1984 letter to his friend Fred Jones, a former administrator at Greensboro College, a retired Dunstan wrote about finishing radiation treatment for cancer and getting back to his second hobby of plant breeding. “I say second hobby because teaching languages, altho [sic] it was our bread and butter, gave me (except for quizzes and exams) a lot of pleasure,” Dunstan said. In his final years, he focused on finding the correct answers to botanical questions. “There is still so much to be done in that field, especially for our Southeast,” Dunstan wrote. Teague says the Dunstan trees have flourished on his land. 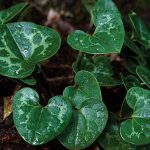 “They’re well suited for both the climate and the soil. They’ve been the most successful nut trees we’ve tried here,” he observes. After the chestnut harvest, which is going on now, Teague sells whole chestnuts — he says the nutmeat has a mild flavor — as well as chestnut flour, a low-gluten alternative to wheat flour. His favorite recipes include Italian desserts made with chestnuts, chestnut soups and chestnut ice cream. Teague says chestnut ice cream is very popular in France, despite the nut’s historical association with peasants. “There was a famous saying after the French Revolution: ‘The aristocrats are so poor, they’re eating chestnuts,’” he says. If you want to see what a Dunstan Chestnut tree looks like, check out High Rock Farm’s annual Chestnut Roasting Festival on Sunday, November 6, from noon to 5 p.m. (www.high-rock-farm.org). There, you can buy whole chestnuts and chestnut flour, get a tour of the historic home, and nibble on Dunstan Chestnuts that have been roasted on an open fire — just 30 miles from where Dunstan created the hardy nut on a knoll sixty years ago. If there’s wine in heaven, Dunstan is no doubt raising a glass to Teague. Wallace, Dunstan’s grandson, recalls a conversation that he had with his grandfather right before he died. Dunstan, who had been in a coma, awoke, sat upright in bed and talked to Wallace about what a great future he would have with the chestnuts. Maria Johnson is a contributing editor of O.Henry.